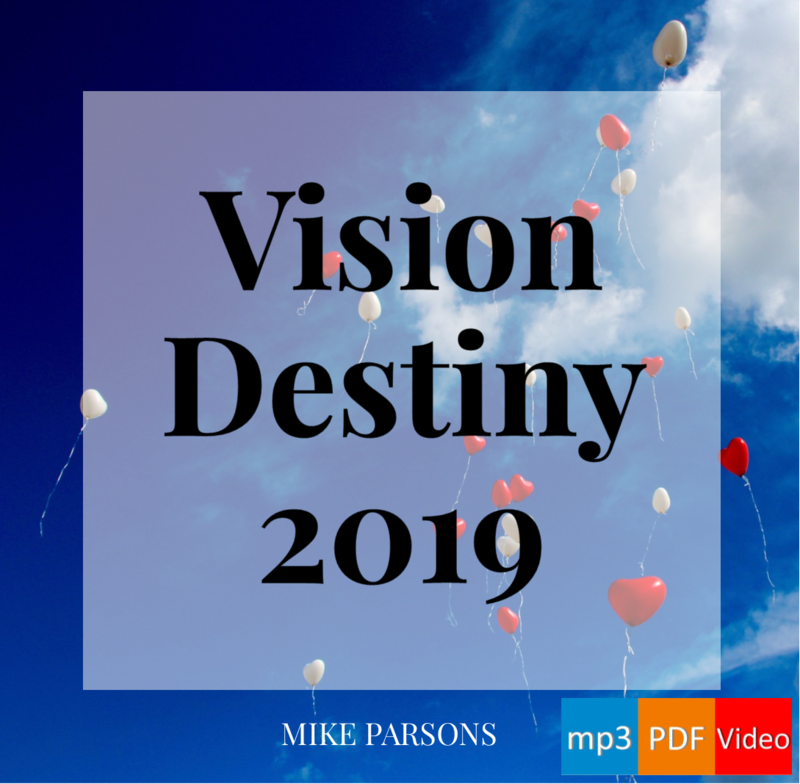 Mike Parsons’ 3-session teaching series, Vision Destiny 2015, is available for free download from our website. We believe that these messages contain important prophetic words for the people of God in 2015. A reflection of God on earth? Are we a shadow or reflection of God on earth so He can fully occupy us? Are we aligned to that revelation? Are we acting like forerunners? where authority is released at a higher level. in, and through, and around your life. “This is me… and this is not”. but a decision to call us to choose life. “The very stars are awaiting their repositioning orders, as Sons accept their call to action from their mandated positions of true governmental authority. as the affairs of the nations are administered by the sons of God once more. You can download this latest 3-session teaching series, Vision Destiny 2015, completely free of charge from our website. These key teaching sessions release important prophetic words for 2015. Whilst originally delivered in Freedom Church, so that some of the content relates specifically to the local body, much will be of value to the wider ekklesia of God (especially sessions 2 and 3, those titled ‘Vision Destiny 2015’). Please click here to obtain your free audio mp3s, PDF slideshows (and for session 3 only, streaming video). Vision Destiny 2015 was not actually a conference, but a series of talks by Mike Parsons given at Freedom Church over Christmas and the New Year. I hope that is helpful. If there is anything more I can help you with, do please leave a further comment here. Ok, I have listened to the material several times and I have some questions regarding the upcoming events. First of all I would like to know what significance August 2015 is in the spirit. How is this going to affect those who have not yet cultivated an intimate relationship with God in those times? What will happen to those who don’t cross over, will they have an opportunity to do so? thank you.i thank the Lord. Hi .. I’m trying to download Vision Destiny 2015 from the website. It keeps asking for a valid postal code. Could you help me with this please? I have sent a direct link to your gmail address. Order will not go through. It keeps prompting to enter a valid postal zip code.